Support legs are fully adjustable from 740mm to 1065mm as standard. 300 Kg’s load capacity per linear metre based on a level working height. 600mm and 750mm standard conveyor widths. (900mm width optional). 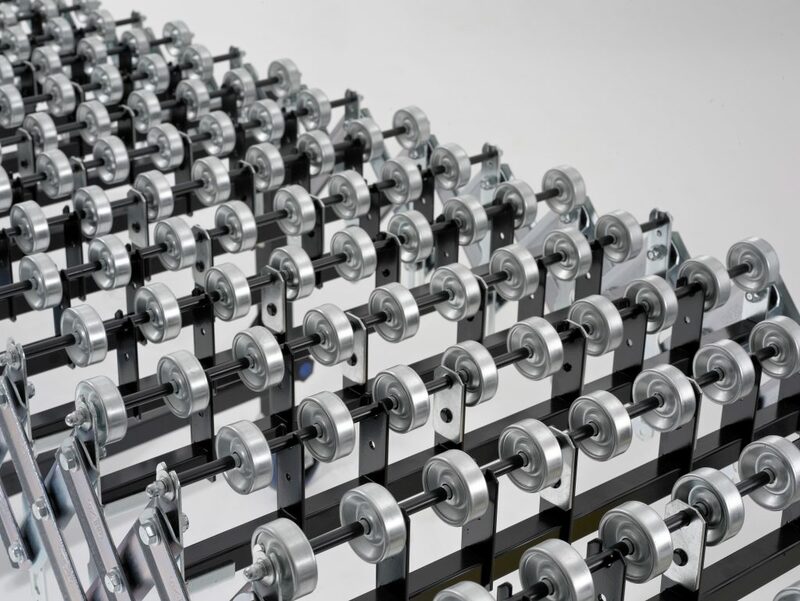 Jig welded and spanning the conveyor width, our one-piece “Constantly Vertical” all steel skatewheel and axle support ensures maximum strength throughout. Our UNI-FLEX™ standard is 49mm dia heavy duty zinc plated steel suitable for all flat based loads. We can also offer a 48mm dia plastic skatewheel for lighter duty applications if required. 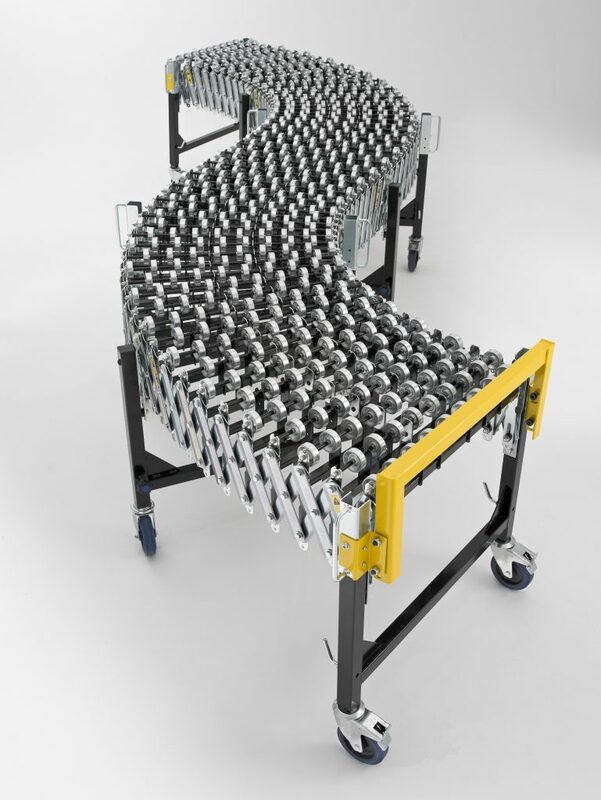 Please note that the conveyor load capacity is reduced to 80 kg’s per linear metre with plastic skate wheels. 125mm as standard when the conveyor is fully extended. Optional 75mm and 100mm wheel centres can be supplied for the conveying of smaller packages or cartons. Please note that optional wheel centres will affect the conveyor compacted length.